One of the many joys of bird photography is the short window of opportunity you often have to get that ‘perfect’ shot. It’s sort of like the unpredictability of trying to get a squirming child to cooperate for the family Christmas shot – but with the added challenge of shooting outdoors and minus the ability to use bribes or silly faces to keep your subject still. 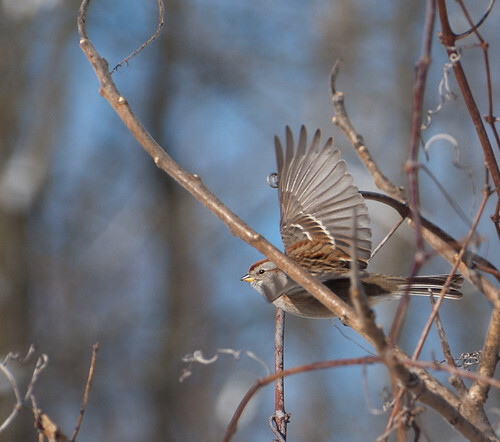 Sometimes you get lucky and happen to capture a decent picture of a bird in flight, like the tree sparrow above. 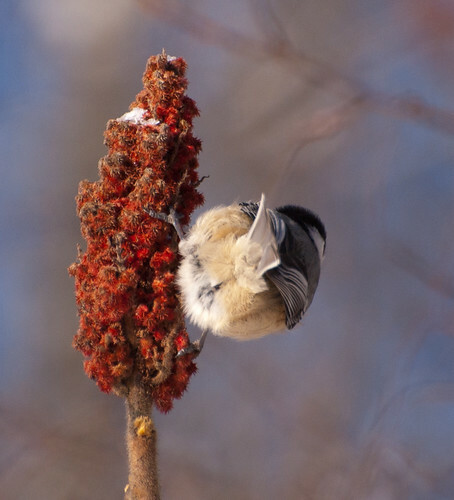 And sometimes you don’t always get a bird’s better side, like the chickadee in the following picture. 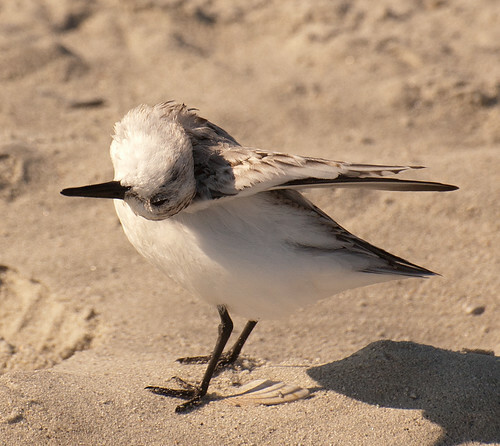 And sometimes you get one auditioning for Cirque du Soleil, like this sanderling (previously posted). 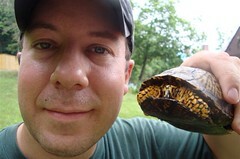 This entry was posted on 9 February 2012 by patacoate. It was filed under iPhone and was tagged with sanderling, tree sparrow in flight. Wow! I love all three. I actually love the composition of the shot of the chickadee! Great shots! I think I like the sparrow wing best.